Now, many years later, a boy named Kōichi Sakakibara ends up in the same class, and as he starts late in the year, he is confused to find a girl named Misaki Mei, that no one in class seems to see or react to. As he makes contact with her, no student in their class is safe, neither is their families, as the curse from 1972 still haunts the students of class 3-3, where the dead were once invited. As Ringu, this is also a story based on a novel, this one by the author Yukito Ayatsuji, who is married to the author of the Shiki books, Fuyumi Ono. It has also been made into a manga series and in 2012 a live action movie. So far I have only had a relationship to the anime and I really enjoyed the atmosphere it built up. In the first few episodes, not much happens, but like the Shiki anime, it starts building. It gives you just enough to make you want to continue, because you want to know what is happening, and as the action starts, you need to continue, because you need to know how it is all going to end. As the twists here are quite good, I will not give the story away, and I think everyone should check this short 12 episode series out if they like anime and good horror. I will also say that it does get gory, so it isn’t just the normal ghost scares that never leaves you with any blood. In the end you will sit and just wait for the next horrible death, and wonder, much like in Final Destination, which instrument is going to do the people in in the end. So, go to a streaming site, lean back, and enjoy this series now that the nights are getting colder, but as you get longer into the series, you should start wondering, if you are really sure you know who is dead or not around you. Based on Koji Suzuki’s novel by the same name, this movie started a new trend of remakes of asian horrors, and also opened up for the popularity of asian horror on a world wide market. In a world wide market that relied heavily of gore and showing the scares, a movie where the unseeable was even more horrifying, really scared people a lot more than exploding heads and zombies had done for decades. It also made us fear our televisions and VHS movies for seven days after we saw them. Reiko Asakawa is a reporter looking into a rumour of a cursed video, and as she travels around to interview people, her niece dies mysteriously at the same day as her friends that all had been rumored to have watched the video. As she starts looking into it for her sister, and at the same time coping with her life as a single, divorced mother, she starts finding out more than she should, and a curse that might have stopped with her niece, is unleashed once more as she finds the cursed tape in a cabin reception in Izu. An eerie video with hints to the person behind it, and the horror that follows it as a phone call, and the knowledge that she has only 7 days to figure out how to stop the curse from consuming her like all the others. With the help of her estranged Ex-husband, they have to solve the messages of the tape before the curse takes them, and also their young son, that watched it by accident. As I have read the book, I know that it is really, really different from the movies, and it sadly seems the american remake followed the japanese movie more than trying to do anything else with the book. I won’t spoil the movie, or the book too much, but the book did have a different lead, and a lot of different things according to the back story of everyones favorite little Sadako. The american remake is not the worst, but the second one was so horrible I have until now just wiped it off my mind. There is also two sequals to the japanese one. The second one is ok, and the last one, Ringu birthday, is actually closer to making me cry than to make me afraid. There is also a more unknown sequal, named Ransen, and a new one from 2012 in 3D, just named Sadako 3D that was horrible besides one horrifying idea for a monster. If you are a fan of the book, there is actually a korean version of the Ring, that follows the book a little closer than the japanese movies, and if you look, I bet you can find it, it is called the Ring virus in english. So, treat yourself to this asian horror movie, where the scares are not the use of blood, or overly horrible serial killers out to kill you, but the ancient human fear of the unknown. We do not know what is lurking in the darkness, we do not know who is on the other side of that phone, or what is coming closer and closer from the well each time the movie is shown. All we know, is that it will come for us, and no matter what, we will not be ready. Remember then, that when your television suddenly turns on again, do not unplugg it, because then it will only be more terrifying when it still turns on before you, and a woman with long black hair, and a long white dress looks back at you. Clouds of war are gathering over a fogbound London. Twenty-eight year old Jack is poor, lonely and desperate to change his life. So when he’s offered the chance to be the wireless operator on an Arctic expedition, he jumps at it. Spirits are high as the ship leaves Norway: five men and eight huskies, crossing the Barents Sea by the light of the midnight sun. At last they reach the remote, uninhabited bay where they will camp for the next year. But the Arctic summer is brief. As night returns to claim the land, Jack feels a creeping unease. One by one, his companions are forced to leave. He faces a stark choice. Stay or go. Soon he will see the last of the sun, as the polar night engulfs the camp in months of darkness. Soon he will reach the point of no return – when the sea will freeze, making escape impossible. And Gruhuken is not uninhabited. Jack is not alone. Something walks there in the dark. As a lover of ghost stories, this book pleasently surprised me when I borrowed it at the local library. I later went on to get it myself in hardcover, and the audiobook, that is amazingly read, and perfect for a cold winter night! It is set just outside of Norway, and there is some things set in Norway, and also a few Norwegian characters like the captain of the boat that brings the group to Gruhuken. But I think that one of the things that got me with this book, was that they actually used something from Norwegian folklore, and they used it really well. I won’t spoil it here, but it pleased the folklore nerd in me and has kept with me since. As a story it starts slowly in the cold streets of London, and then it builds as we discover the even colder Artic through the eyes of our hero, as we read through his diary. Then, the sun fades for longer times, until it is gone, and as it slowly fades, we feel a creeping promise that when only the darkness is left, something horrible will happen. 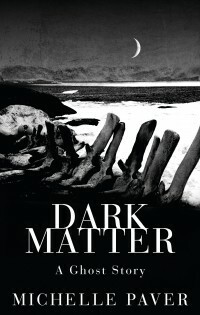 So, as the autumn now turns the nights darker, and as winter closes in, and the darkness takes more and more over, sit down before the fireplace with a good book, or lean back in the chair with the audiobook, and let your mind wander to the cold artic, where danger creeps ever closer in the dark. My halloween is saved and NaNoWriMo is around the corner! I got money again this week, did the smart thing and paid my bills, then I ordered some of the last books I need to read before my exams, and after school this friday I were just going to walk around and window shop a little (bet chance!). I then went to Outland to see if they had gotten in the first vol of Nurarihyon no mago, but they had instead just gotten the third vol… -.-, then I went to the sale corner, where they put stuff that they don’t have first parts of and stuff like that, and I found out that they have put down the price of 3-4 season of All allo to 100 kr!! (17 in american dollars). Then I walk to the shop Play.com (weird name, I know), and there is find a box with 50 classical horror movies for 200 kr!! And then I see that they have three different horror collections! One for classical, one for chillers, and one for pure terror… I couldn’t decide! So I just bought all three of them… I feel shame… But I iz so happy!! Other than that it is just some weeks left before National Novel Writing Month! I were able to claim a win last year, and I want to try it again this year! But I have a little problem with deciding what I want to write about. My first idea was to continue with the characters from last year, just to set it in a dark post apokalyptic future where the creatures from fairytales and mythology has taken over the world (My iPad story from earlier is in the same continuation as this). But then I started to think about a pitch I made for a story on Thumblr, and I sort of want to try that as well. It is a story that is lighter than I usually does, and all that happens takes place in one coffe house. The door for it can appear on any corner of any town in the world, and if you go in, you will meet a kind owner that will give you a free coffe if you tell him of your dreams and hopes for the future or just problems in your life. It won’t be a suspenceful story, but I hope to make it a story about something I have never written much about… just a story of human life, a story about how it is to be born and how it is to live. My third idea for a story is a mysterious slasher story set in a old town in Japan where people keep dissapearing XD. Since I am a big fan of horror movies, I wanted to add a new part to my blog where I share info on horror movies well known, and some not as known with people.